This is our current list of employment opportunities. If you would like to post an open position please contact Ben Ellis at: Golfturf54@gmail.com. Job Postings are FREE for current MTC members, Non-Members for $50. Posting will be up for 30 days which then can be extended upon your request. Wanted!! Energetic and Goal-Oriented Foreman/Applicator. We need someone to manage and implement all our operations. You will be doing most of the applications but would manage others as we grow. We have some part-timers to help with larger properties. If you are the right candidate, we plan on making you part owner of company. We totally believe in helping others achieve their goals. You don’t have to be the greatest agronomist of all time, but a great attitude and work ethic are a must! We are stoked to meet the right person to join our Amazing Grass Team! Under the supervision of the Superintendent of Grounds this position will coordinate, supervise, and participate in maintenance of all campus athletic and intramural fields, including immediate surroundings. Position will prepare and conduct seasonal turf maintenance plans for all athletic competition and practice fields. Will participate in the maintenance of sand-based, irrigated, hybrid bermuda turf and artificial turf playing surfaces. Tasks will include mowing, painting and striping, grading, irrigating, seeding, sodding, top dressing, dragging, fertilizing, weed control, and other maintenance tasks as required. This position will advise and perform turf grass maintenance needs for campus general turf as needed. Position is responsible for preparation of outdoor court areas (tennis courts, volleyball courts) for practice and competition events. This position applies pesticides and herbicides as needed. Performs safety inspections on field and court surfaces. Position will operate and oversee general maintenance and care of heavy equipment. Operates various power tools and equipment. Performs general grounds maintenance tasks of a standardized nature involving the operation of motorized equipment and a variety of hand tools. Position will perform duties as assigned during hazard weather events, daily campus and event cleanup as well as assist other staff in general maintenance requirements. Supervision of staff will be required as needed or assigned by Superintendent. Qualifications: Required: High School Diploma or GED with 3-5 years previous experience in athletic turf maintenance or similar field or equivalent combination of education and experience. Position requires a valid Virginia driver’s license. Minimum requirement is possession of a Registered Technician License for Turf. 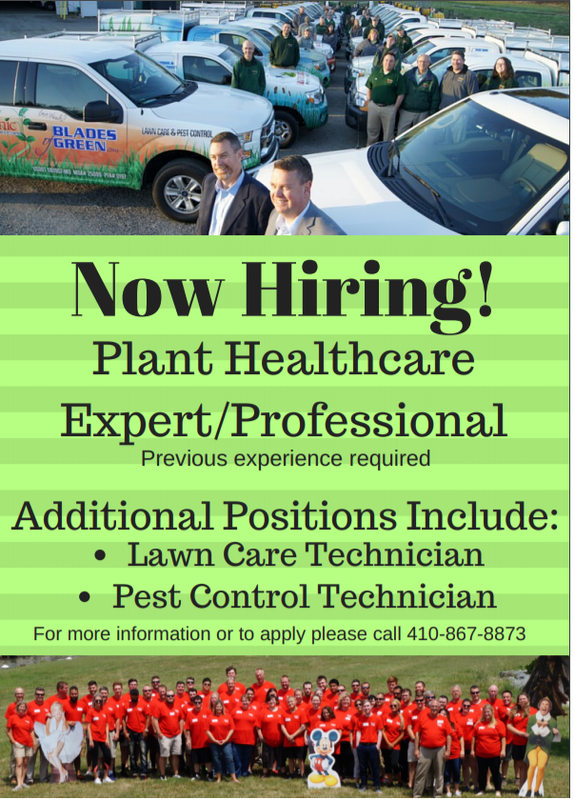 Preferred Requirements: Commercial Turf Applicators License and Associate or BS degree in turf management. Review of applications will begin immediately and continue until the position is filled. Position is available immediately. Apply here or you may also mail your application materials to: Human Resources, Hampden-Sydney College, P.O. Box 127, Hampden-Sydney, VA 23943. Hampden-Sydney College welcomes applications from minority candidates and is an equal opportunity, affirmative action employer. Join a prominent non-profit organization located on 60-acres of the most beautiful grounds in Washington, DC. The Protestant Episcopal Cathedral Foundation, including the Washington National Cathedral and three schools, offers a diverse and collaborative work environment and we are currently seeking a Groundskeeper to join our Facilities Services Department. Reporting to the Assistant Director of Horticulture and Grounds, the Groundskeeper will carry out all grounds maintenance including mulching, leaf removal, mowing, trash pick-up, and snow removal. The Groundskeeper also acts as general laborer to assist with turf and landscape renovations, irrigation projects, office moves, and special work orders. Ideal candidates will possess a minimum of one year experience in landscaping and grounds maintenance plus a valid driver’s license and good driving record. A degree or certification in turf or landscape management is a plus. A full position guide is available at www.pecf.org/employment. Human ResourcesDept., Massachusetts & Wisconsin Aves., NW, Washington, DC 20016-5098. Manages the supervised seed mixing program. Assists the certification manager in all aspects of the seed and turfgrass certification program of the Turf and Seed Section. Manages and supervises the mixing program of seed lots in accordance with the appropriate seed regulations. Approves component seed lots, calculates batch sheets in excel format, and performs calculations when changes are necessary. Samples component seed lots and prints tags intended for use in this program. Schedules inspectors to supervise mixes. 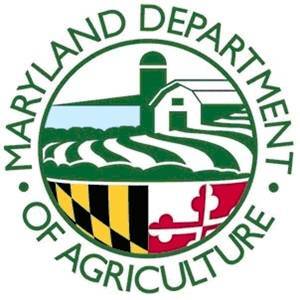 Assists the certification manager with the seed certification program to insure that all Maryland certified seed meets established standards. Performs field inspections on soybeans and small grains. Samples seed lots according to protocol of the Association of Official Seed Analysts. Assists the certification manager with the turfgrass certification program to insure that all Maryland certified turfgrass meets established standards. Performs field inspections on certified turfgrass fields. Identifies weed, disease, insect and agronomic problems and makes appropriate recommendations to growers. Education: Possession of a bachelor’s degree from an accredited college or university with at least 24 semester credit hours in one or more of the following; agriculture, agronomy, botany, crops, horticulture, plant pathology, or soils. Experience: One year of experience in agronomic, horticultural, seed or sod work. 1. Possession of a master’s degree from an accredited college or university in agriculture, agronomy, botany, crops, horticulture, plant pathology or soils may be substituted for one year of the required experience. 2. Candidates may substitute U.S. Armed Forces military service experience as a commissioned officer in soil science classifications or soil science specialty codes in the soil science field of work on a year-for-year basis for the required experience and education. Candidates appointed to positions in this classification may be assigned duties which require the operation of a motor vehicle. The Maryland-National Capital Park and Planning Commission, a six-time National Recreation and Parks Association Gold Medal Award Winner, is seeking an Athletic Field Renovation and Construction Supervisor for the Southern Parks Division, Montgomery County Department of Parks located in Chevy Chase, Maryland. The Montgomery County Department of Parks serves a diverse population of over one million residents in Montgomery County, Maryland, by managing more than 419 parks on approximately 37,000 acres of parkland. The Department serves an estimated 14 million visitors per year, with an annual operating budget of about $100 million, and a career staff of nearly 800 employees. Athletic Field Renovation and Construction Supervisor coordinates daily activities of a crew or crews of full-time and part-time athletic field staff to perform a wide range of highly specialized and technical assignments. This position will possess the ability to evaluate present on-site grading and develop plans to increase positive drainage while matching surrounding existing grades. Incumbents may provide direction to lead the work of crew leaders or related crew members engaged in project work. Performs other related duties as assigned. Plans, schedules, and assigns the work of athletic field operations staff (Leaders, park workers, temporary employees, volunteers). Recruits, selects, and trains staff. Evaluates work and counsels/coaches staff for improvement. Approves time cards and leave requests. Documents employee accidents and injuries. Provides input and makes recommendations concerning major renovation or park development projects, park master plans, CIP projects, etc. as requested for geographical area. Works with other Commission divisions to ensure that plans and specifications meet athletic field program goals and objectives. Conducts meetings with community and user groups within geographical area to plan programs, identify needs, resolve problems, promote customer service, etc. Develops strategies, action plans, and coordinates the necessary resources to accomplish objectives. Coordinates and facilitates special programs and events within geographical area (Equipment expos, tours, tournaments, etc.). Develops publicity materials to promote activity. Allocates necessary resources (personnel and budget) to achieve a successful program or event. Researches technical publications, professional organizations, or other government agencies to identify trends or seek information that would be useful to develop programs, solve problems, or enhance Montgomery Parks athletic fields. Responsibilities include advanced skills and knowledge in pesticide application, soils, turf grass, and athletic field management to include soil textures, compaction, grading, construction, native, modified, and sand based systems; turf grass varieties in establishment and maintenance, plant identification, disease and insect identification; athletic field design, layout, and drainage. On-site field inspections, project management which will require advanced knowledge of specialized machinery and techniques. Inspects and identifies athletic field safety issues, estimates staff and equipment requirements for projects, obtains construction and sediment control permits, coordinates projects and activities with other commission units. Ability to understand laser transit operations, solve complex issues with advance laser technology, and modify grades to produce positive drainage. Writes, designs, and interprets specifications for projects and contract supervision for athletic field construction, renovation, and maintenance. Manages annual budget and ongoing project budgets, controls expenditures in accordance with approved budget. Obtains bids and price quotes, and initiates purchase requisitions and check requests. Approves payment within budget. Manages multiple work units, assigns and evaluates unit's accomplishments and work program, evaluates work, counsels/coaches staff for improvement. Prepares records and reports. Maintains budgetary and personnel records. Develops and writes memoranda, publicity materials, financial reports, activity reports, etc. Oversees inventory of supplies and materials. Issues permits, licenses, etc. as appropriate. Must have excellent communication skills to respond to both external and internal inquires and provide training and technical instructions as needed. Must calculate and make analytical decisions about moisture levels on a daily basis to modify the current project plans. 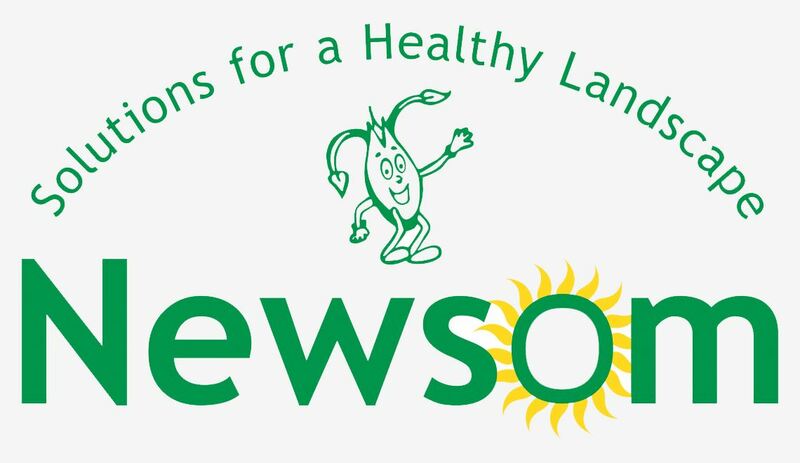 Newsom Seed is seeking a full-time Assistant Manager for our headquarters location in Fulton, Maryland. The Assistant Manager will assist with sales, administrative & clerical duties, customer service, and warehouse operations. Practical agronomic and or turf knowledge experience preferred. Must possess a valid driver’s license with a safe driving record. Compensation based on experience. Maintain the cleanliness and organization of the office. 1. High School diploma and two years of supervisory experience or equivalent combination of education, training and experience. 4. Ability to perform cash and credit card transactions. 5. Practical agronomic and or turf knowledge experience preferred. This would include, but not being limited to landscaping, pest control, golf course maintenance or experience with pesticides, herbicides, fertilizers and fungicides. 6. Ability to learn the operation of the facility. 7. Strong communication, customer service and excellent problem-solving skills. 9. Strength and dexterity necessary to perform all required tasks, including lifting, stooping, bending, and working in tiring and uncomfortable positions. Must have ability to lift and move items equivalent to or greater than 50 pounds, climb ladders, and operate equipment. 10. Regular and predictable attendance is an essential function of the position.